This is a creative and unique recipe. 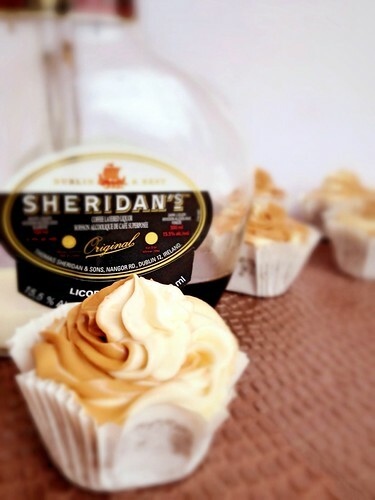 Sheridan's is an Irish liqueur which has an unusual bottle which has two separate sections. One side is coffee and whiskey and the side is a white milk chocolate liqueur. 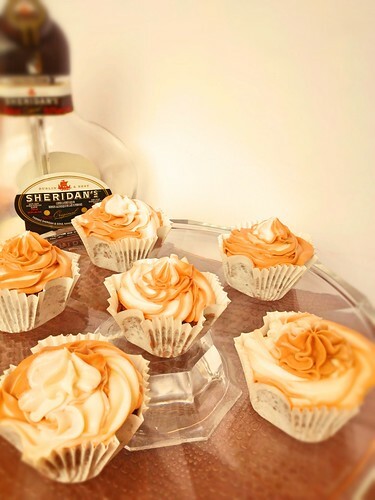 You can check out the recipe on the blog, A Muffin Top Full Of Cupcakes.